Players can now sign up for an entry into the PS4 Closed Beta Test for PSO2! Users must first download the [Entry Ticket] to be entered into the drawing where only 50,000 applicants will be selected. Those who were chosen to participate in the beta, will be sent a product code to the email address registered to their Japanese Sony Entertainment Network account. First and foremost, you’ll need a SEGA ID to play. This ID will be linked with your SEN account during the initial login process. This link will reset after the Closed Beta test has ended. Players who sign up for OTP, or have OTP enabled accounts, will be required to input their One Time Password upon logging in. Using this feature has the added benefit of activating [OTP Storage] on your account. A class level cap of 30. A Mag & Pet level cap of 50. Certain field(s) will be playable. Client Orders, Arks Road, and Salon Background changes will cover the available field(s). Pre-Scheduled Emergency Quests are the only forms of EQs available. EP 1 ~ 3 Mode, Crafting, Support Partners, Team Rooms, and Challenge Quests are unavailable. Some Client Orders are not clearable. PSO2es linkage features are unavailable. Your Closed Beta Test data will not be transferred over to the official release. However, you can save your Character Creation data for use in the PS4’s official launch. Although PlayStation Plus membership is not required, currently subscribed members will receive a +100% Tribooster when they log in during the Closed Beta period. You can use this item during Beta Testing to help with leveling up your character. As for everyone else, the following bonuses will be delivered based on your character’s class level during the Beta Test. Prizes will be delivered at an unspecified date in the future after the Closed Beta ends. Will the PS4 and PC servers be one or are they different servers thus one can’t use your PC account? They’ll have same servers. The beta test won’t. Last i heard, Pc and ps4 will share the same blocks. Hmm…I was expecting better graphics for Tokyo. I’ll wait for more. So what is the right subclass for Summoner and why. I see braver and fighter being mixed in there for some reason. xo as in xbox one? absolutely not. the x1 is coming off of a week where 52 consoles were sold in japan (compared to just under 25k ps4’s). 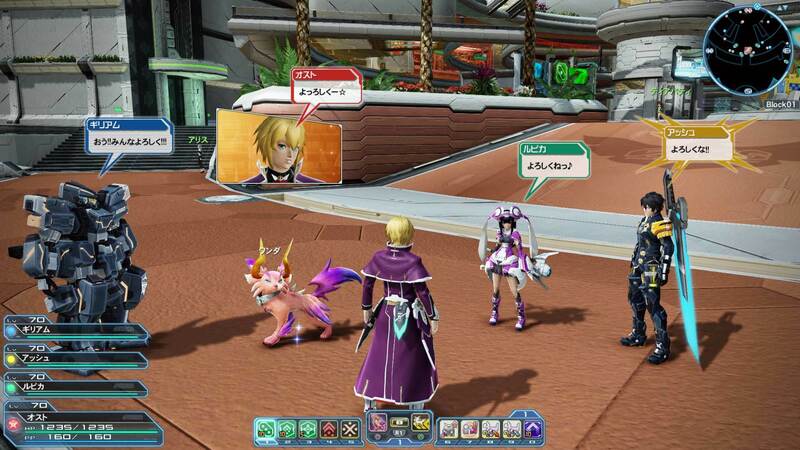 pso2 is only available in a region where the x1 is dead as a doornail. I laughed harder than I should of at this statement.